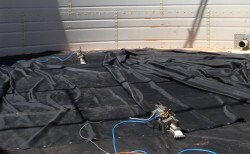 Membranes Australia can manufacture liners to suit any size or shape tank. Our tank liners usually have a reinforced top edge with stainless steel eyelets for fixing onto the structure. We can also add extra fixing points to specific points in the walls to allow for load spreading as a tank increases in height. 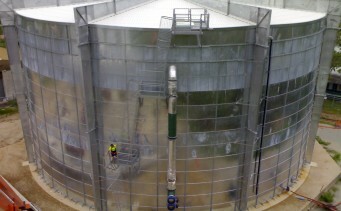 Given our experience in on site vulcanising, our specialist teams can easily assemble panels on site, inside the tank structure, allowing for minimal labour at installation. With over thirty years experience in designing and manufacturing tank liners, coupled with our custom built planning software, we can build your tank liner extremely quickly, efficiently and with a minimum of waste material.